A Britain’s leading modern-art gallery, Tate Modern, was established in 2000. The collections in Tate Modern consist of works of international modern and contemporary art dated back from 1900 until today and it continues to become one of London’s most popular attractions. Londoners says visit to London isn’t complete without a trip to Tate Modern. Tate Modern is a vast institution occupying the former Bankside Power Station, it is set to grow further with a major new Herzog & de Meuron-designed extension opened in 2016, New Tate Modern. Entrance to Tate Modern gallery is free, except for special exhibitions and events. Become a Tate Member and get free entry to all special exhibitions. Visit Tate Modern website and pre-book your tickets of your preferred event. Tate Modern remains open on bank holidays too. It will be remain close on 24, 25 and 26 December, but opens on 1st January. What should people see at Tate Modern? Tate Modern itself is like a city within a city. Masses of people from every destination, class, nationality and race come here and go. This Gallery is becoming a well-known public space for London and it displays art from across the world, regardless of geography, which allow new connections to be made. Visitors heading to Tate Modern are treated to a real plethora of modern art. It has eleven floors, numbered 0 to 10. Levels 0, 2, 3 and 4 contain gallery space. Level 0 consists of the Tanks, spaces converted from the power station’s original fuel oil tanks, while all other levels are housed in the tower extension building constructed above them. The Switch House shows art from 1960 to the present day. Previously level 0 consists of The Tanks that are used to store oil and when the gallery was a power station. This circular spaces in the foundations of the Switch House have kept their rough, industrial feel to now house new art. Now the tank generates ideas, creative energy and new possibilities for artists and audiences. You can see performances and interactive art and video installations; these galleries celebrate new art. It is the world’s first museum permanently dedicated to exhibiting live art, performance, installation and film. Turbine Hall is the space which defines Tate Modern the best. A vast iconic space for large-scale sculptures and site-specific installation art and acting as a stage for cutting-edge contemporary art and as an open forum for people to meet, think, play and debate. Running parallel to the Turbine Hall is the Boiler House, home to the galleries and on the opposite side of the building, the newly developed Switch House and houses galleries and dramatic architectural features. Since Turbine hall is opened in 2000, over 60 million visitors have experienced the Turbine Hall. It is a place for art for people and a place to encounter with everyone in the heart of London. Top Floor of the new switch House is with an opening view Terrace and beholds awe-inspiring 360ᵒ view of the London skyline, from high above the River Thames, St Paul’s Cathedral and as far as Canary Wharf and Wembley Stadium. What’s the best time to visit Tate Modern? Late at Friday and Saturday evening are the best time to visit Tate Modern, which is likely to be a quieter time to see the collection displays and the exhibitions, as well as being a great opportunity to have a meal or a drink in the restaurant overlooking the river and St Paul’s Cathedral. 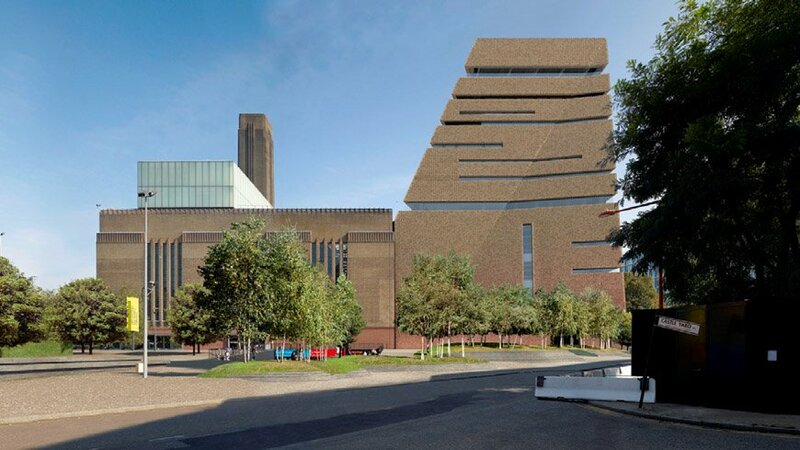 Our London airport transfers services provide executive car services to Tate modern. We offer our airport transfers from all major airport terminals. We are specialized in providing 24 hrs airport transfer service to Tate Modern. We are able to provide the right service for you, taking you to your destination in comfort and style. To ensure our enjoyable ride pre-book our airport transfers through on-line or phone instantly. London city airport: It is nearest airport to Tate modern, its distance is 7.9miles via A1203 and approx. it takes 38min to reach. Heathrow airport: To reach Tate Modern from Heathrow airport, it takes approx. 1hour 11mins and it is 21.9miles away via M4. Southend airport: It takes approx. 1hour 15mins to reach Tate modern via A13 to Southend airport as it 40.7 miles away. Stansted airport: It is 38miles away via M11 it takes approx. 1h 9mins to reach Tate modern from Stansted airport. Luton airport: Approx. it takes 1hour 14mins from Luton airport to Tate Modern via M1 as it is 34.4miles away from Tate modern.